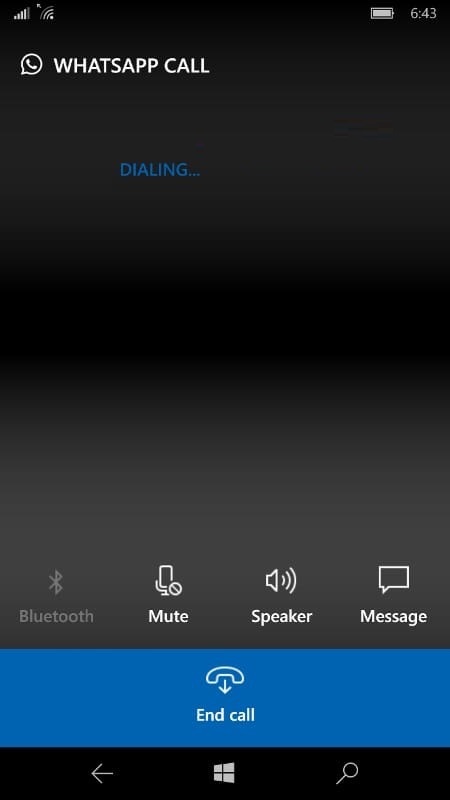 WhatsApp has improved the design for calls, as they did on last April for WhatsApp for Android. 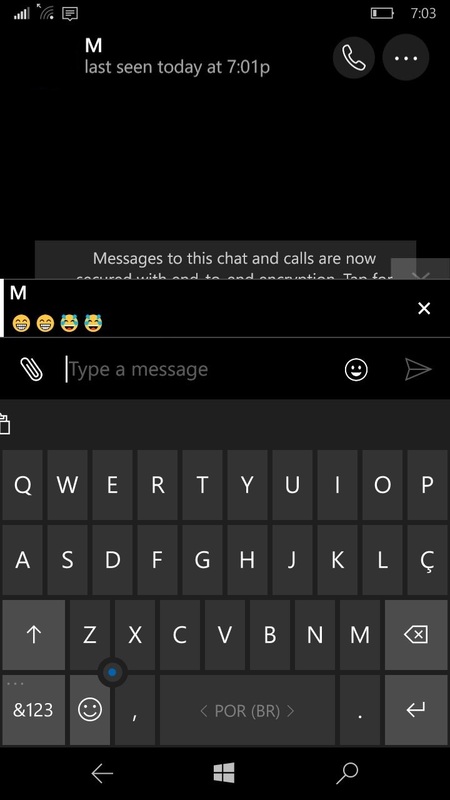 We have recently published an article for WhatsApp Web and Desktop about the Private reply feature, and WhatsApp has surprisingly (and strangely) added this feature in the new Windows Phone beta build. 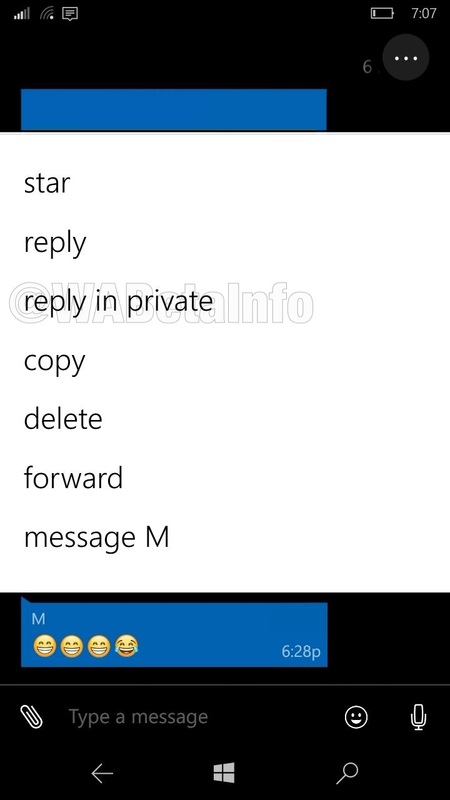 Thanks to this feature, you will be able to privately reply to a message sent in a group. When you use the private reply feature, the message in the group will be quoted and the chat with that user will be automatically opened, allowing you to reply to that specific message. The Quick Switch feature has been already announced in this our old article for Android and finally WhatsApp is internally working to implement it in Windows Phone. 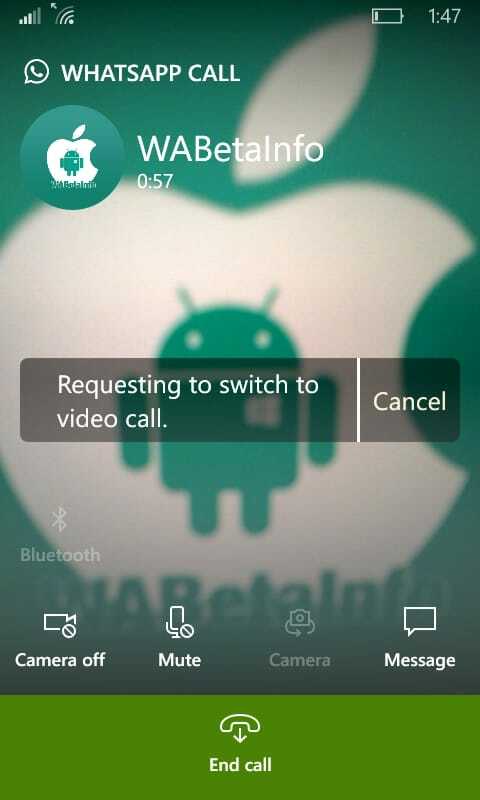 When you are in a voice call, you will be able to tap on the new icon called “video”: WhatsApp will send a request to the other user to do a video call, without interrupting the current call. 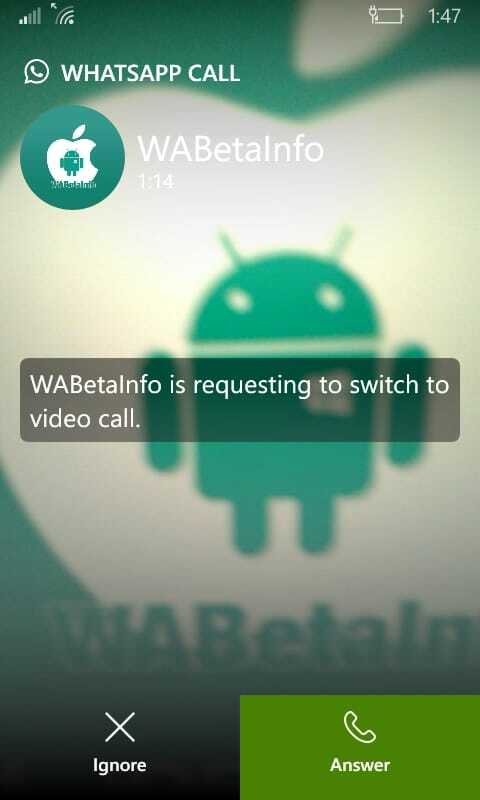 When the other device receives the request, the other user will have to accept/reject it in order to start/decline the video call. Note: this feature isn’t currently available because it is under development. 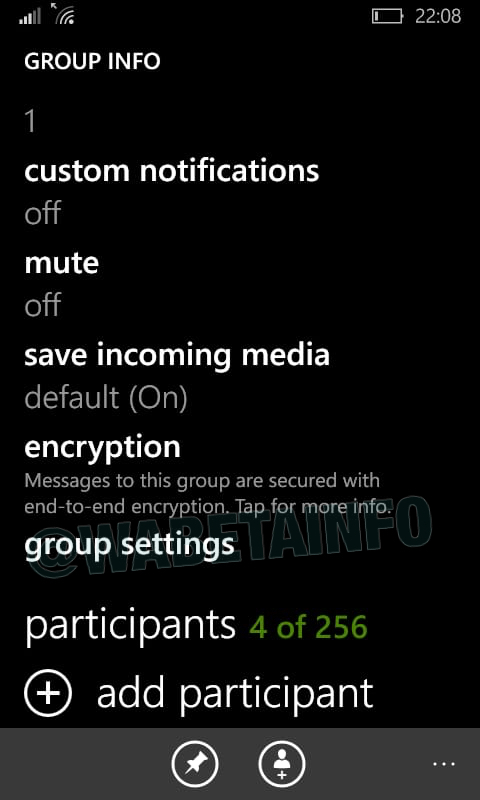 We wrote a very detailed article about the new advanced group settings in WhatsApp for Android and iOS, and finally we found first tips also in Windows Phone builds! 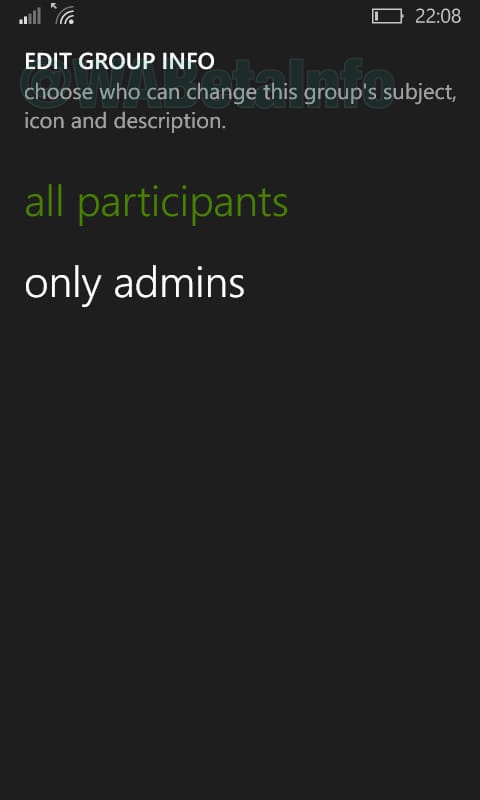 Thanks to the new advanced group settings, all administrators will be able to restrict the group for some features: the first restricted feature is about the group info. All administrators will find in future a new row in Group info that will allow them to access to exclusive customized features for the group. The first one will allow to modify who can change the group’s icon, subject and description (that will be available in future). The next one will allow to disable the chat feature, allowing to temporarily block every message sent in the group for participants that aren’t administrators. Thanks to our friend Víthor for the help. Previous PostPrevious WhatsApp Web/Desktop 0.2.7315: what’s new?